Whether you are struggling with a chronic illness, are a new mom, or are a full-time student/employee (or all of the above), everyone is looking for some shortcuts in life! So I am going to try to dig up the best shortcuts I can find! I know personally I can never remember to get everything that I need at the grocery store. Usually even if I bring a hand-written list. Heaven help us if we are out of mustard because it just happens to be one of those things that I can never ever remember to pick up while we are out at the grocery store so we may go without from a month before John finally picks it up. Fibro fog strikes quite often! 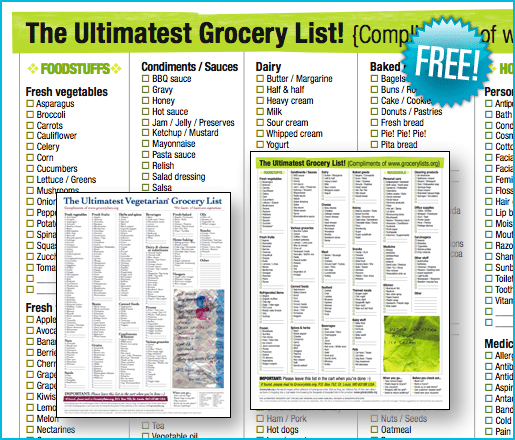 But I can across this wonderful website – Grocerylists.org – home of the Ultimate Grocery List. This list has EVERYTHING you can imagine! Especially all of those little things that are hard to remember (like mustard and bullion cubes!). They have also just rolled out an ultimate vegetarian list for you veggies out there! For the deluxe list click here and for the vegetarian list click here. Plus if you are looking to kill time or looking for a laugh, they maintain a list of the top 10 funniest grocery lists found (do you think your list is unique? send it in!). I hope this website helps you out as much as it helps me! 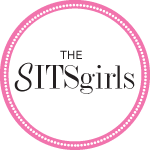 I'm so glad I found your blog…through SITS! I have chronic illness too… I have Myasthenia gravis, fibromyalgia, diabetes and osteoporosis from high doses of steroids, and I have a trach. I TOTALLY get the "new kind of normal!" Can't wait to read more of your blog. Hope you visit mine too! Hi, stopping by from SITS! I'll have to check out the grocerylists.org website. I am forever forgetting staple items when shopping..